Waeeba - Cat Live Wallpaper ! Get it now on Google Play ! 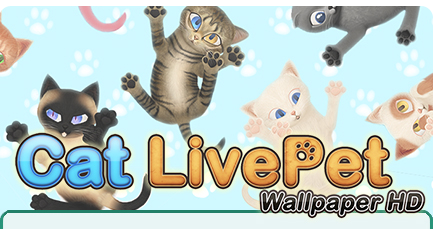 Cat LivePet Wallpaper HD Released ! 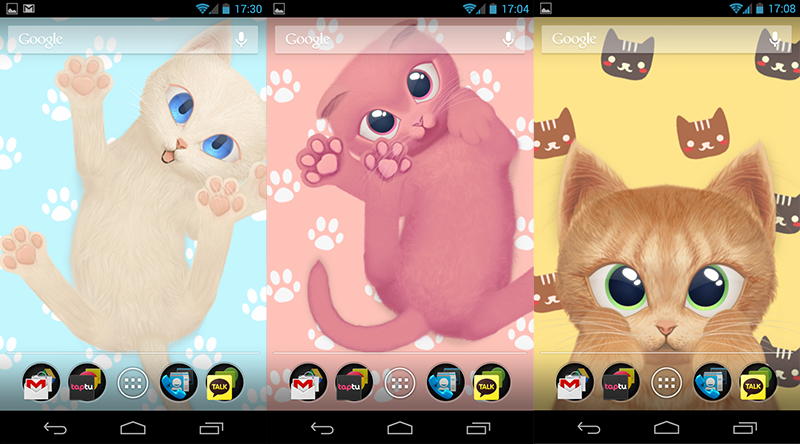 Watch this cute cat living in your smartphone as a Live Wallpaper. Play with it, pet it and it will react like a real cat( joyful, playful, angry), tickle its belly and it will start dancing, leave it alone and it may sleep ! Great HD graphics ( XXHDPI ) and smooth animations makes it looks real and appealing. Customize it to make it look like the cat you ever wanted ! Choose between 10 furs, 10 eyes and 10 backgrounds offering up to 1000 possibilities ! ♦ 8 furs : European, Siamese, Scottish Fold (grey), Scottish Fold (pink), Black and White, Brown and White, Brown Spots, Cream. ♦ 8 eyes : Big Green, Big Pink, Thin Red, Shiny Gold, Yellow, Limon Green, Chocolate, Veron Yellow Blue. ♦ 9 backgrounds : Grass, Flooring, White Carpet, Black Carpet, Chic Fuchsia, Pyjama, Pink Paws, Black, White. Go in the live wallpaper's option to unlock cool stuff ! ♦ Don't tap its head or belly too much otherwise it will get angry ! REALLY angry ! ♦ Swipe its belly left to right to make it bend ! ♦ Swipe its belly left to right FASTER and it will dance ! ♦ Swipe its head or belly up to down to make it purr ! ♦ If you don't touch your cat, it will play alone or it will sleep. ♦ Your cat tends to sleep more during the night. ♦ If your cat sleep, you can wake it up by taping its head or belly several times. ♦ Custom your lovely cat : you can change its eyes, its fur and the background, many more customization to come in the future. ♦ Different views possible : you can choose between different camera views. 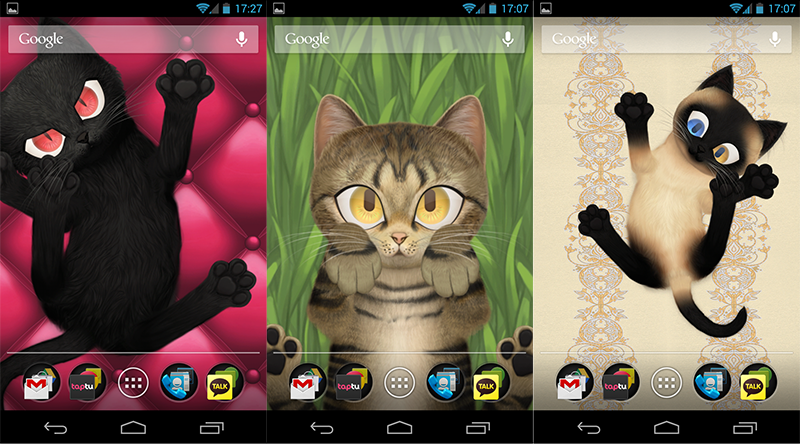 ♦ This live wallpaper has sound, it can meow,purr and hiss! you can mute it in the live wallpaper options.